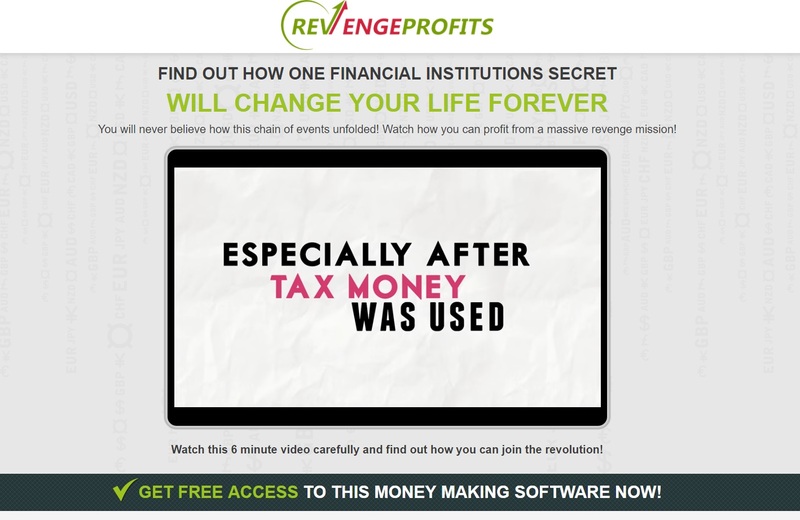 In this review we prove that Revenge Profits is a scam that wants to take money away from you. Revenge Profits supposedly is a trading system that can make you a millionaire. It is allegedly based on a financial trading algorithm that hackers got access to during one of their attacks. And because nobody wants money if it is not free, Revenge Profits is of course free. Becoming a millionaire is nowadays easy, you do nothing and money keeps flowing, right? The truth of course is that Revenge Profits is a pure scam. It is not a profitable software based on a special algorithm, it is a scam made to take your money and lose it in trading. Let’s look at the proofs. On the Revenge Profits website you can find testimonials, people are saying that they make money with this system. But all these reviews are fake. Look at the picture and you will see the proof. All the reviews are made with stock photos and fictitious stories about earnings. 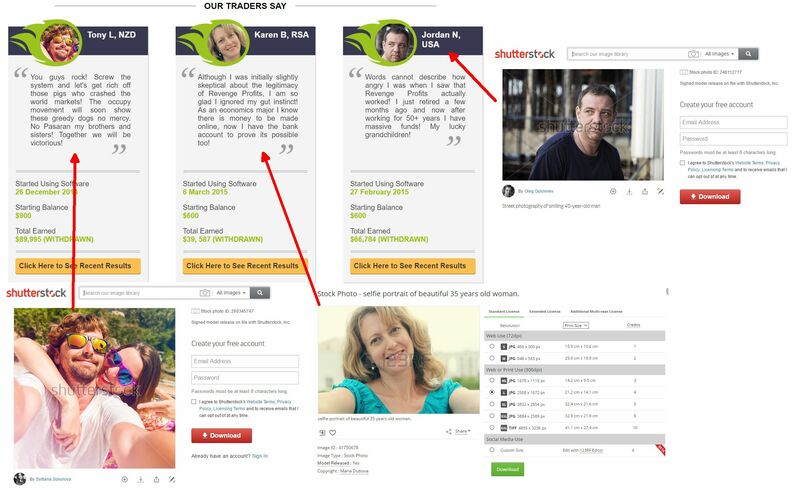 The Revenge Profits web also shows some allegedly live trades that the system is taking. It is supposed to demonstrate how profitable the algorithm is. But again, it is just a big lie. The trades are complete fiction, the prices have nothing to do with reality, neither do the results. On the picture you will find an example, it is allegedly trading the USD/JPY pair with a price of 1.39064. But it is an absolute nonsense, the exchange rate of the USD/JPY is one hundred times different in reality, currently about 112.300. The true purpose of Revenge Profits is to make you deposit money with a selected broker, because people who created this scam are getting paid by this broker for referring new depositors. If you deposit and let Revenge Profits trade with your money, you will lose it. As simple as that. Revenge Profits is a very basic scam. If you let it trade with your money, you can expect to lose it, so stay away from it! To make money with binary options, you have to first learn to trade on a demo account, you can get it for free. Only when you manage to trade profitably on the demo, you can start investing your money for real profits.